Nicola Cornick is the author of the novel The Phantom Tree, which takes place in Tudor-era and present-day England. 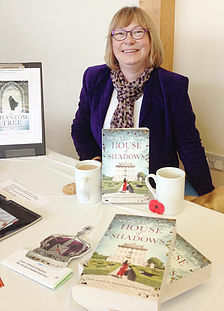 Her other novels include House of Shadows. She's based in the UK. Q: How did you come up with the idea for The Phantom Tree, and for your character Alison? A: A number of threads came together to form The Phantom Tree. I’ve always been interested in the lesser-known figures from history, especially women whose stories have been lost from the historical record. One of these was Mary Seymour, the daughter of Queen Katherine Parr and Thomas Seymour. There is no account of what happened to Mary beyond the age of about three and I found this fascinating and was increasingly drawn to tell her story. At the same time I saw a little portrait on the wall of my uncle’s house. He had picked it up in a market and was excited to find it had an inscription on the back claiming that it was a picture of Anne Boleyn. Being a writer with a penchant for mysteries I started to speculate: Was it really a lost portrait of Anne or could it be some other Tudor lady? Mary Seymour, perhaps… And the story started to grow from there. When I first started writing the book it was all about Mary, and Alison was a minor character but gradually she started to demand more room on the page and I began to see that the story was as much about the complex relationship between the two cousins as anything else. Alison was a tricky character to write. It was hard to like her sometimes but the more I got into her head the more sympathetic I found her and hopefully I was able to convey that to the reader. Alison is such a complicated person; she’s had an extraordinary life and it’s made her tough but her enduring love for her son makes her both strong and vulnerable at the same time. Q: What kind of research did you need to do to recreate the sections involving Mary? A: It was a while since I had studied any Tudor history and so I immersed myself in books about the period. I knew the broad brushstrokes of the political background for example but it was the little details that I realised I needed to discover; what people ate, how they dressed, the layout of a manor house etc. I also did a lot of research on the ground, visiting the places where the story takes place; Savernake Forest and Littlecote House and most excitingly of all, Wolf Hall. Going to these places I was able to conjure up the atmosphere I needed for the book and really think myself into it. Q: Mary's chapters are told in first person while Alison's are in third person. Why did you decide to write it that way? A: I enjoy writing in the first person. It feels very real and immediate to me and I “become” the character more easily and understand their motivations, emotions and behaviour. As the book was originally all about Mary, I started off thinking it would be purely a first person narrative. Then Alison pushed her way to the front of the book and I wanted to tell her story but to do it differently. The third person narrative felt right for her, a little more distant and harder to get to know, just like Alison herself. A: As with all my books, I thought I had a rough idea of how it would end when I started writing but it went through huge changes along the way. I’m not a planner and so I find plotting out dual time stories particularly challenging but it’s also immensely fun and satisfying when all the threads come together. A: I’m currently editing my next book, The Woman in the Lake, which will be coming out in February 2019. It’s another dual time novel, set in the 18th century and the present and based on the story of the first Lady Diana Spencer. I’m also writing and researching my latest manuscript, which is another Tudor-set story. I’m particularly excited about this one; it’s a mystery set in Oxford in the reign of Queen Elizabeth I. 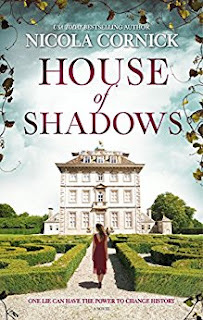 A: Readers who are interested in Tudor history and Wolf Hall may be interested to know that there is a project to excavate and restore the manor that stood in Savernake Forest in the time of Henry VIII and Jane Seymour. It’s immensely exciting to have this link to their story and you can find out more about it here. 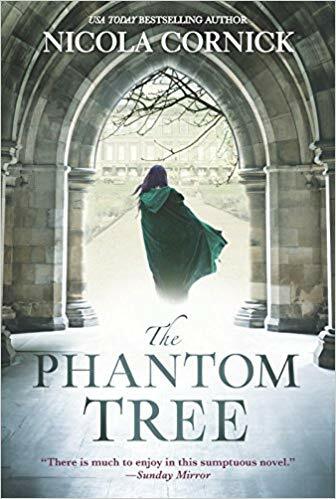 Thank you very much for inviting me to share some of the background to The Phantom Tree!